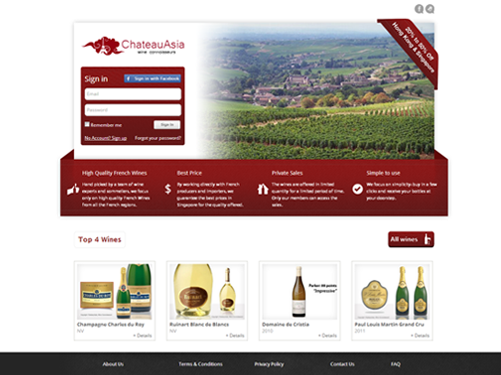 This online shop provide excellent wines at affordable prices for Singapore and Hong Kong area. For them we made logo, some redesign of web pages and designs of buttons for their website. They had a request for us to make changes in the front page. We added image that summarizes what they do in a stylish way with a design close. Also we created a catalog page for their wines and made it easily accessible from the home page. For logo we tried to combine spirit of Asia with some features of France.